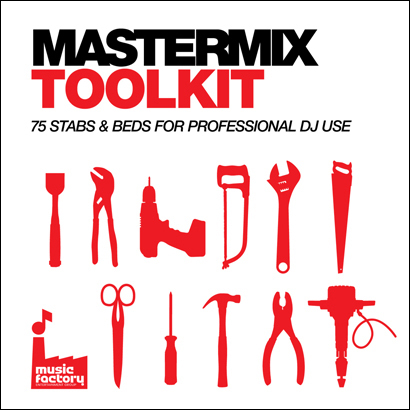 The Mastermix Toolkit is something a little different but DJs are going to find it comes in very useful on certain events. The disc contains 75 music clips, beds, intros, chorus and outros, created for DJ use only, and each clip has been carefully engineered with hot endings! Ideal for a variety of events including awards nights, sporting events and presentations, the disc contains some of the most well-loved and recognisable sounds including clips from ‘Chelsea Dagger’, ‘Here Come The Girls’, ‘A Little Less Conversation’, ‘I Gotta Feeling’, ‘Yeah 3x’ and ‘Lola’s Theme’. Mastermix Toolkit is a great addition to any music collection and enables DJs to add a little extra to their show. With genres to suit every occasion the Toolkit is a must-have! The full list of 75 tracks is available from Mastermix along with the option to purchase the digital download or CD priced at just £10.21.